Paparazzi is the award winning restaurant with a big cocktail menu. 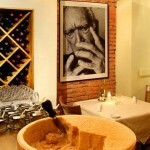 The restaurant serves traditional Italian cuisine and wine and they are proud of their cosmopolitan ambience. 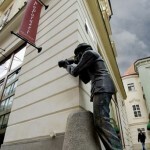 It is located in the center of Bratislava and next to it you can find the famous and popular Paparazzi statue. I missed pizza from the menu, but except from that everything was fine. 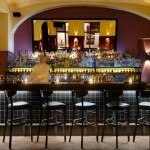 The prices were above average, the facilities were nice and the service was good. I would though probably check out some other restaurant in Bratislava next time, instead of returning to this one.